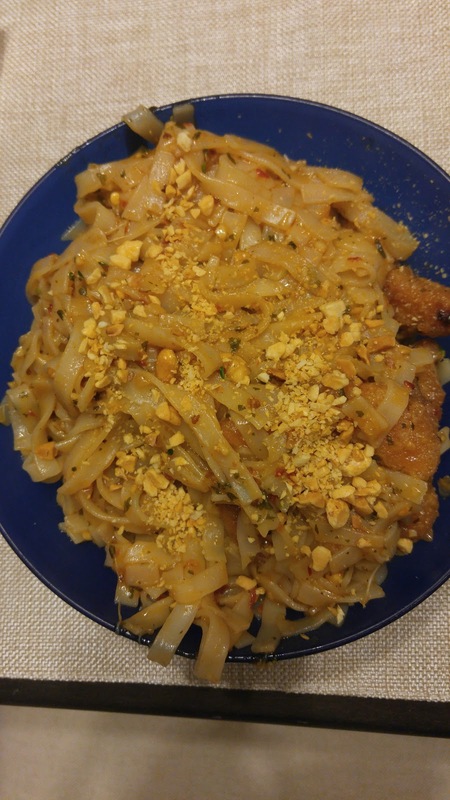 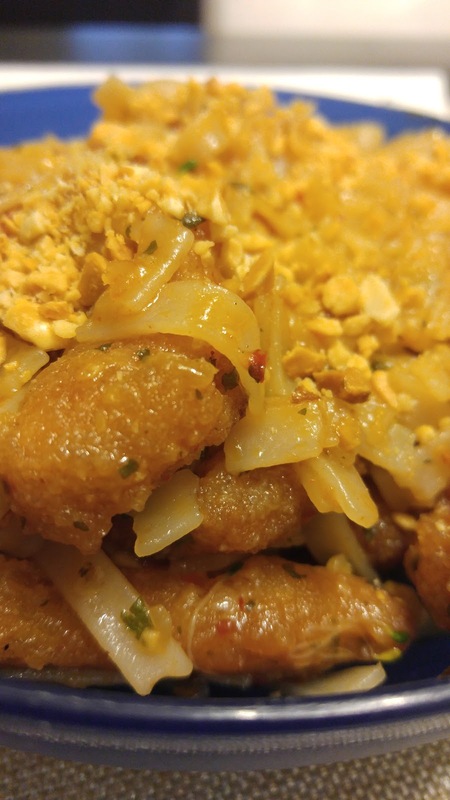 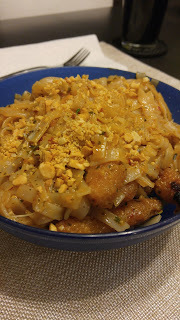 With a successful trip to Natural Grocers, the hubs and I found a package of vegan breaded "shrimp" that we thought would go pretty good into a Pad Thai. And we were beyond pleasantly surprised with how this meal turned out. The shrimp substitute was tasty, and had texture that we're usually looking for in these vegan dishes. This is definitely something we'd make again!